Ethiopian Election 2015: Is Democracy Prosperous or Destitute? Ethiopia holds general elections every five years; the most recent one was held on May 24, 2015. The ruling TPLF/EPRDF party, which has been in power for the past twenty-four years, officially announced on this past Monday, June 22, 2015 that the government and its allies ((political organizations created by EPRDF) won a landslide victory in the country’s parliamentary elections. In the announcement, the ruling party proudly declared itself, not just the winner, but that it was also more victorious than ever before by taking all seats in both the federal and regional parliaments with its allies. In the months and weeks leading to the elections, under very restrictive conditions and in some places even where detentions were common, campaigns by the opposition parties were very intense, and the public response in support of the parties was far beyond expectations. Unfortunately, all of that was to no avail. Looking at the end results of the elections, all that could be said is that the huge public rally behind the opposition parties instead alerted the ruling party- it prepared itself and came up with more and newer tactics to rig the elections. Heavily equipped armed forces were deployed in different areas including the surroundings of the capital, Addis Ababa/Finfinne. As has been the case during the previous elections, hundreds of opposition party candidates, and observers were hunted down and detained at different places prior to the polling day under the pretext that they created obstacles to the process of election or were suspected of being members of political organizations labeled terrorist by the EPRDF government, groups such as the Oromo Liberation Front (OLF), Ogadenean Nation Liberation Front (ONLF) and Ginbot 7. Thousands of Oromo Federalist Congress (OFC) candidates and observers in Oromia Regional State, including Bule Hora (Guji Zone) South Oromia, Makko and Darimu (Illu Abba Bora), Gimbi and Gulisso (Wallagga) West Oromia, Ginir and Goro (Bale), South Oromia were arrested and intimidated by the government security forces. OFC members Mr. Dula Matias and Mr. Zelalem Shuma in Dambi Dola (Wallagga), the Western Oromia Regional State were among those detained. There have been cases of misinforming and misguiding voters, especially regarding voting times and places. Although it was announced ahead of the election day that there were plenty of voting cards, Oromo electors in some particular parts of the region were told that there were no voting cards left. In other areas of Oromia it has been confirmed that the voting cards were distributed to the people hours after the election has already started. For example, in the following photo the EPRDF representative on the Toke Kutaye District (Ambo) was distributing voter cards on May 24, 2014. Worst of all was the stealing of the ballot boxes after they were filled with voting cards in order to give all the votes to the candidates of the ruling party, regardless of whom the voter cards belonged to. The above mentioned incidents happened mainly in Eastern and Western Hararge, Dire Dawa, in various parts of central Shawa, in the Oromia Zone of Wallo, particularly at Wallo University, in Illu Abbabor, at Mettu University, in different parts of Wallaga, in Guji and Borana zones of the regional state of Oromia. Accordingly, as proven in the announcement made by the National Election Board, the ruling TPLF/EPRDF Party stole most of the votes and, by so doing, systematically eliminated all opposition parties from the political game, leaving both the regional and federal parliaments without any alternative voices and differing political opinions. It is so worrisome that the country is once again back under a one-party monopoly of everything – political, economic, and social. All the rhetoric during the past two decades regarding the flourishing of democracy in Ethiopia has now proven to have been lies and deceptions- the reality is that democracy has been diminished. Regardless of the unpopular results of the elections, both the Ethiopian peoples and all the opposition political parties should never feel that they lost. They should be rewarded for doing the best job that they have done – very peaceful election campaigns were conducted by the opposition parties and, in response, similar rallies and supports were shown by the general public. Both the Ethiopian peoples and the opposition parties have demonstrated and exercised genuine democracy in an oppressive political environment where democracy did not exist. Above all, the reaction of the population during the campaigns clearly demonstrated to the world that fundamental changes are needed in that country. While the local observers were silenced by various types of harassment and intimidation, foreign and international independent observers such as the European Union and various human rights agencies chose to stay away knowing that, based on experiences from the past elections, their presence would make no difference except giving legitimacy to such a fake election. The decision taken by international observers not to participate in such a fake election could be described as a step in the right direction, a sign of rejection and refusal which showed that preconditions the government of Ethiopia followed for the election was wrong. 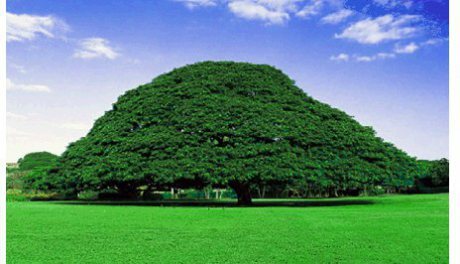 However, a lot more needs to be done to bring about positive political changes in Ethiopia. 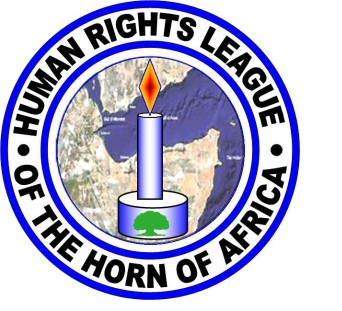 The Human Rights League of the Horn of Africa is deeply concerned about the human rights situation in Ethiopia which keeps deteriorating over time. Ethiopia is a party to numerous instruments of international and regional human rights, humanitarian and other laws. The Ethiopian government has accepted, signed and ratified most of the international human rights standards. It has an obligation to adhere to those agreements and their implementations. However, the government of Ethiopia has repeatedly failed to implement those standards, including the Ethiopian constitution of 1995. On the contrary, the government adopted anti- terrorism legislation and NGO law which it has used to criminalize the democratic rights of the people. Therefore, the Human Rights League of the Horn of Africa (HRLHA) calls upon the international diplomatic and human rights agencies to join hands with the democratic-thirsty Ethiopian peoples and opposition political parties in their efforts to put pressure on the ruling TPLF/EPRDF party so that it abides by democratic principles as well as international laws and respects fundamental human rights so that genuine democracy can flourish.